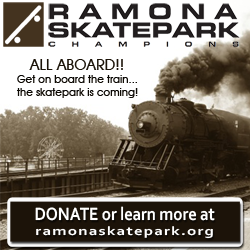 Now YOU can SUBMIT AN EVENT to RamonaEvents.com. We currently have this feature open to the pubic, where anyone may click on a link in the lower teal-blue menu at the top of our site. When you submit an event, an administrator will review, and may edit, your event and then will either approve it, or let you know if the event does not qualify as a Ramona Community Event. The administrator will review your event and may make minor changes to the event description or classification in order to make it easier for our visitors to find the event and to help it to rank higher in Google searches. We do not warrant that your event will be ranked by Google, but we do try. When your event is approved, you will receive an email notification. Ultimately, it is YOUR responsibility to be sure the event is published accurately. When you receive your email, please do visit your link on the calendar and notify us immediately with any concerns.